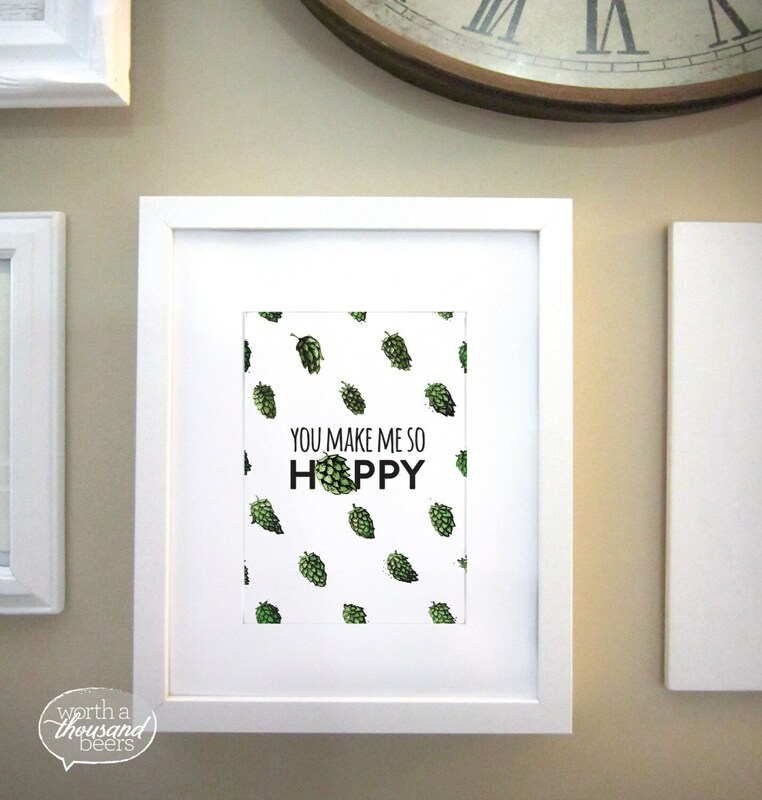 What better way to tell you beer-loving friends how they make you feel?! This is a print of an original illustration of those lovely flowers that make our beer bitter–hops! 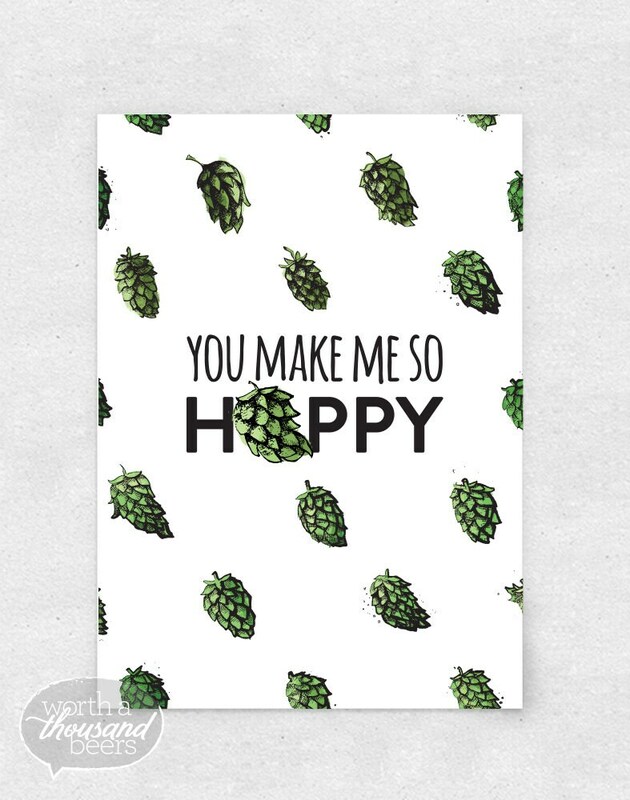 They make me happy, and they make our beer hoppy. (See what I did here?) Great for bar art or brewery art! • Final print size 5" x 7"
• Shipped in a rigid, flat mailer.